Making the decision to place your parent or loved one in the hands of an elder care service can be an extremely difficult decision. In wanting the best for your loved one, you chose an elder care service with the expectation that they would provide proper care. Mike Schafer is “The Lawyer Who Wrote the Book” on personal injury in Louisville, KY. If you or a loved one has been the victim of nursing home abuse or elder abuse, you may have questions. Mike Schafer, Bryan Meader, and The Schafer Law Office have the answers. Contact The Schafer Law Office for helpful insight into your elder abuse case. What do you do if you or a loved one is the victim of elder abuse? How does elder abuse affect me? What are the Facts About Nursing Home Abuse? It is very important that you do not hesitate in finding help in your elder abuse case. At The Schafer Law Office we realize that elders that are mistreated and abused have a 300% higher chance of death compared to elders that aren’t. That is why Mike encourages you to act swiftly when it comes to your nursing home abuse or elder abuse case. At The Schafer Law Office, we don’t want you or a loved one to suffer any longer. Mike and Bryan offer something very few law firms can offer, personalized service where action will be taken immediately while working alongside you and your family. We don’t want you or a loved one to suffer any longer. The Schafer Law Office is here to guide you through the maze that is elder abuse and nursing home abuse law and help you get the justice that your loved one deserves. Nursing home abuse is a widespread problem that happens all across Kentucky and our country. But, these injustices aren’t only limited to nursing home facilities, they can also happen at home in the form of elder abuse. In the United States about 3.2 million people reside in nursing homes and are subject to neglect or abuse. Around 1 in 10 Americans age 60+ have been a victim to some form of elder abuse. It is estimated that nearly 5 million elders are abused each year. Out of those 5 million, 1 in 14 of those cases is actually reported. In nearly 60 % of incidents, the abuser is a family member. Malnutrition- A proper diet and hydration is important for everyone, but is even more important for people in need of elder care. This is one of the most common forms of elder abuse and leads to thousands of deaths each year. Falls- A fall for an elder can be a much more serious occurrence because a broken bone is much more serious injury the older a person gets. Falls in nursing facilities or under the supervision of home care staff can often be the product of neglect or improper care. Wandering- Wandering is something that can become common in elders with Alzheimer’s disease. Understanding this is part of what is expected from nursing home and home care employees because wandering can result in serious or fatal injury in elders. Medication errors- Elderly patients often are in need of precise prescriptions that must be carefully documented by elder care professionals. Communication is a key between elder care professionals and pharmacists because any error can be harmful. 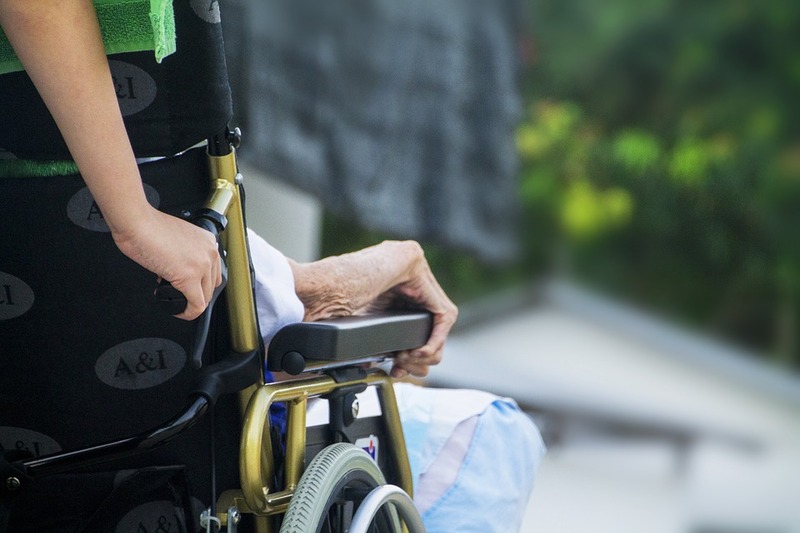 If you or a loved one is a victim of nursing home abuse or elder abuse, you'll need to find a reliable personal injury attorney as soon as possible. The Schafer Law Office will make sure any evidence that will help your case can still be gathered and not destroyed. A reliable nursing home abuse attorney can help you understand your case and Kentucky law. You want an attorney who cares about you and can offer you personalized representation. You'll find all that and much more in Mike Schafer, Bryan Meader, and The Schafer Law Office in Louisville, KY. They will aid you in getting justice for your loved one. With personal injury attorneys Mike Schafer and Bryan Meader on your side, you’ll be in good hands. The Schafer Law Office has been helping personal injury victims get compensated for more than 25 years. Unlike big law firms who will have other people work on your case, Mike or Bryan is personally involved in every case. The Schafer Law Office knows the challenges and pitfalls of personal injury cases in Kentucky, all the tactics of the “other” side and how to best present the facts. They can handle the brutal tactics of the insurance companies. In fact, before Mike opened The Schafer Law Office, he worked for an insurance defense firm. He really knows all the tactics that the insurance companies have up their sleeves to wreck your personal injury case. Contact The Schafer Law Office for questions about how we can aid you in your elder abuse case. "The Family Survival Guide To A New Driver" is a guide that every parent and teen must read as your family starts to add new drivers. "Wrongful Death In Kentucky" is a survivor's guide to a Kentucky wrongful death case. It explains how you can deal with and make the healing process easier. "What You Don’t Know About Buying Car Insurance Can Hurt You" is intended as a guide to help the consumer in purchasing automobile insurance.